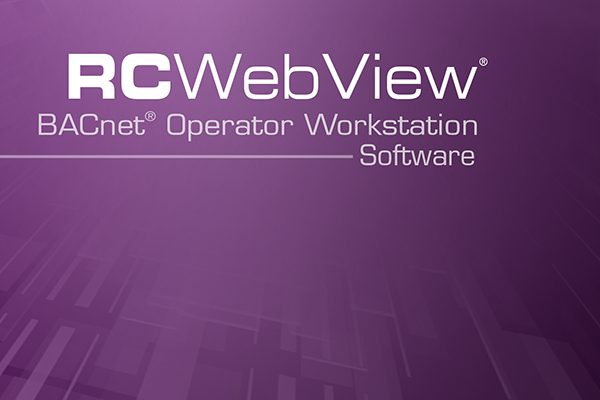 Reliable Controls is pleased to announce the release of RC-WebView 3. This thin client application allows operators to view, edit, and override BACnet inputs, outputs, variables, schedules, and alarms, as well as graph and print trend and runtime logs using a modern browser. The powerful enterprise hub and scheduling features allow managers to link multiple independent systems together and push hierarchical schedules across multiple facilities. RC-WebView incorporates the same graphic structure as RC-Studio® and the MACH-ProWeb™ graphical user interface, providing seamless integration to existing MACH-System™ projects. The Navigation Group feature further extends the graphical integration capabilities of the software, allowing URL links to connect with any third party, web-based interface. Administrators will appreciate the powerful enterprise capabilities of RC-WebView and its flexible permission controls for managing user accounts and accessibility. Designed to take full advantage of the latest web technologies and mobile platforms, RC-WebView is the ideal web solution for today's progressive facility manager.